TimeZone : Public Forum » It is here. After considerable thought this has now been delivered. A fantastic AD, with whom I have always had a fantastic experience, and just a mesmerizing piece. Issues I had considered- weight. It is not an issue. Feels perfectly at home and comfortable. Legibility- At first blush it will be fine. 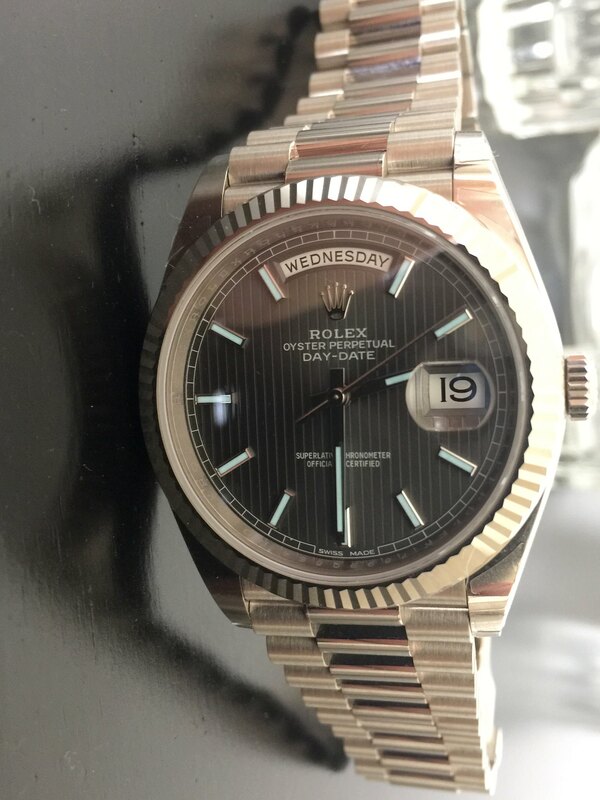 The light grey faces that I have seen (and to be fair each generation of Rolex face is different and I have only seen this one for the 40mm) make it hard to see. This dark grey tapestry face is fantastic. And I will say that the lume - quick tach light and semi dark bathroom so not real world by any stretch of the imagination was top notch. More to come on that. 40mm is right, at least for me. This was great under a lab coat sleeve. The metal is not attention grabbing, and for me that is exactly what I want. I am curious to see if it lives up to the +/-2 per day that it claims. 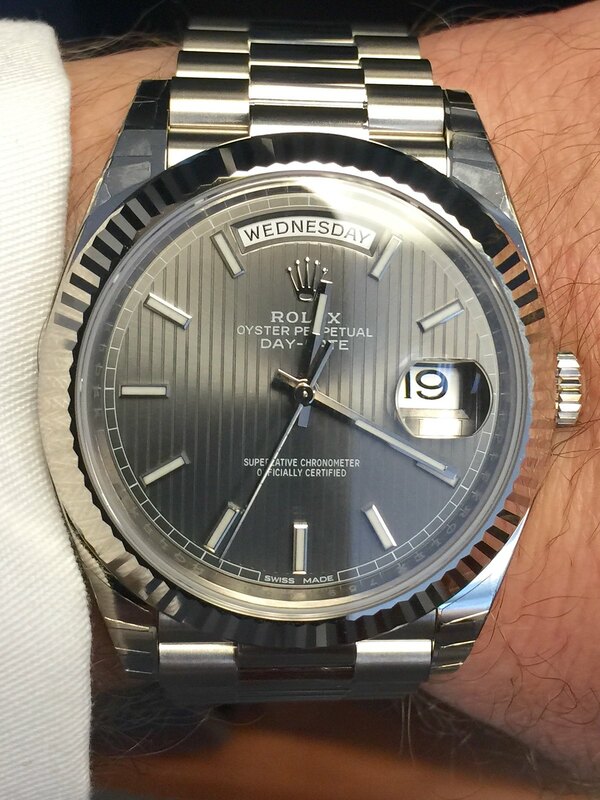 Don't know if it will be off the wrist long enough to test the 70 hour power reserve for quite some time. Thank you to the forum for your patience and help in this process. I have things to do now, but will add more thoughts as they come about.